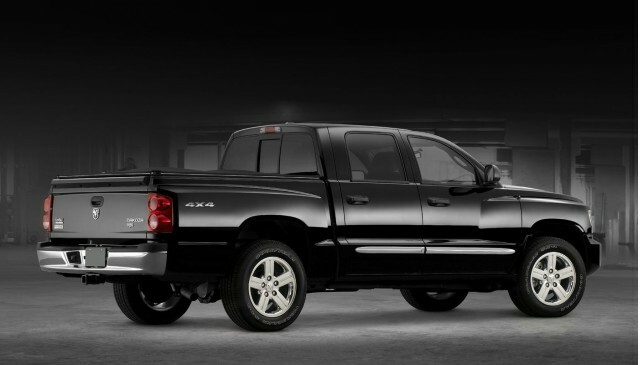 The Dodge Dakota is a mid-size pickup truck that Chrysler first sold in the 1987 model year. 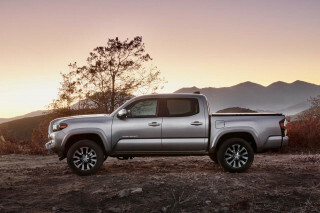 In three generations of production, the Dakota has been an also-ran in a class where the Toyota Tacoma is a perennial best-seller, and where the current Nissan Frontier is our choice as the best in class. The Dakota gave Chrysler a unique pickup truck to market against the compact Ford Ranger, Chevy S-10 and the Toyota and Nissan pickups when it was introduced in 1987. From 1987 to 1996, it was the largest small truck offered in the U.S.: if a bit confusing, that meant owners could haul more and tow more without moving into a full-size, quarter-ton truck. The first-generation Dakota came with a choice of four- and six-cylinder engines, rear- or four-wheel drive, and a single cab configuration--though a unique convertible model was sold from 1989 to 1991. Midway through this model life, Dodge added a longer-cab model that still only had two doors, a halfway solution to the Dakota's competition and their four-door models. V-8 engines were added as well, and the Dakota gained a driver-side airbag as standard equipment before its final model run in 1996. The second-generation Dakota could be spotted easily in showrooms: it adopted some of the fender flares of the bigger Ram pickup, and became the best-looking pickup in its class. Mostly a reskin of the existing truck, the Dakota's new look was joined by some uprated powertrains. A four-cylinder engine borrowed from Jeep had carried over to the new model; the truck's outdated V-6 and V-8 engines were replaced in 2000 with new versions still in production in some form today. 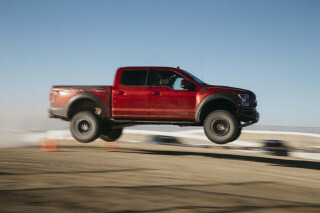 The 4.7-liter and 5.7-liter V-8s were coupled to four-speed automatics, while other engines could be had with a five-speed manual transmission. The big news came with the addition of a Quad Cab model, a true four-door, in the 2000 model year. A new interior arrived in 2001; the four-cylinder's last year was in 2002. The final year of this body style came in 2004. During this generation, Chrysler also introduced the Dodge Durango, a mid-size SUV that shared much of the Dakota's platform. In its third generation, the Dakota stepped back from its curvy influences and took on more straight-edged styling. Still riding on the same platform and offering the same V-6 and V-8 engines, the Dakota grew a few inches longer and received a new suspension design. Engines included a 3.7-liter V-6 and a pair of 4.7-liter V-8s, one with 230 horsepower and one with 260 hp. A six-speed manual is offered on the six-cylinder, and for a time could be ordered on the lower-output V-8. Otherwise, Dodge offered four- and five-speed automatics. Body styles included only an extended-cab two-door and a four-door Club Cab Dakota. 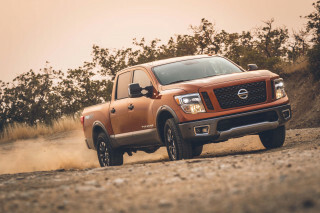 The same truck received more V-8 power, some interior upgrades and an optional package of flexibility features for its pickup bed in the 2008 model year. 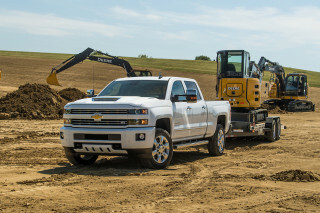 power rose to a maximum of 302 hp, and towing capacity grew to more than 7000 pounds. Dodge ended production of the Dakota in the 2011 model year. Chrysler has proposed building a smaller unibody pickup truck in the past, but the future of any project and of a continuation of the Dakota name is in limbo. I'm a senior female and I love the smaller Dodge. Just my size. I love the looks over the other compact trucks. More stylish. Very nice looking. Competes with other compact trucks. Looks like the big Ram, but nicer in size. It fits in my garage! Love the 4 door.